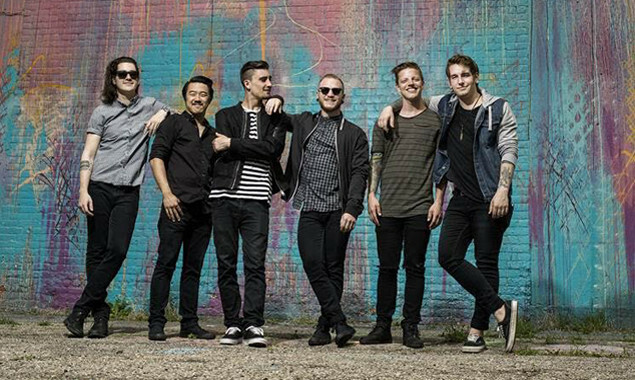 Wanna hang out with the We Came As Romans guys and ask them whatever you like? We're looking for five people to meet up with WCAR in Manchester later this month and ask them questions for a future feature in Rock Sound magazine. Into it? Here are THE RULES. 1. You'll need to make your own way to and from the interview. We are not physically capable of carrying you there. Sorry. BUT if you're not particularly comfortable with the idea of your picture going in the magazine (or on our website), it's probably best not to enter. 3. Your friends can't come in with you to meet the band. If you're not taking part in the feature, you're not coming in. THIS RULE WILL NEVER CHANGE. If you want to get involved then APPLY TO DO SO! 4. This interview is happening in Manchester, England on Friday, May 27 around mid-to-late afternoon. We'll send the five successful applicants details nearer the time, but it'll definitely be in Manchester, England. Not the one in New England. Don't be that person. 6. We can't offer tickets to that night's WCAR show as part of this. Sorry! 7. Yeah, we missed out #5. What of it? 8. You stopped reading this a long, long time ago, didn't you. Does that sound good to you? If you're 16 or over, email tomas.doyle@rocksound.tv with your name, age, contact telephone number (THIS IS VITAL! ), the town / city you live in and a short paragraph on why you should be selected to be part of this awesome special interview. Only successful applicants will be contacted. Against The Current were the latest band to face the firing line. 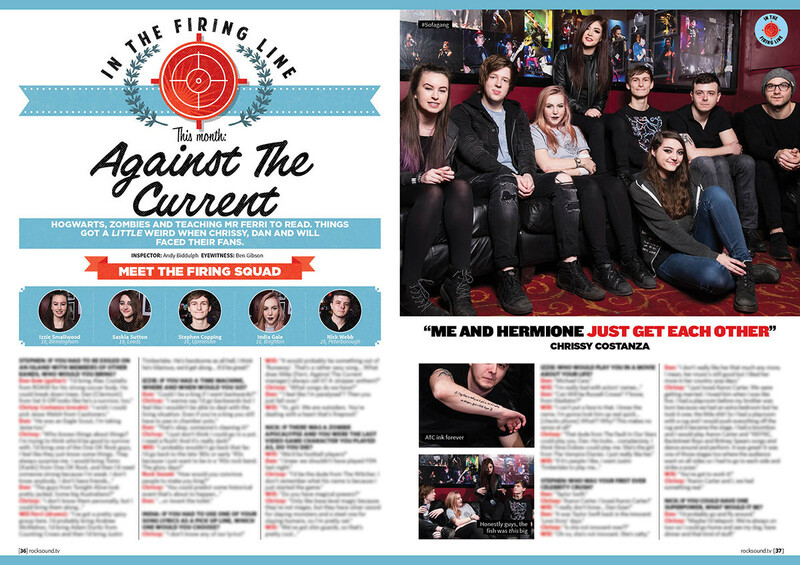 Read what happened when they met their fans in this month's Rock Sound magazine.